Since World War II, America’s health insurance systems has always had government distortions. During the war, America had wage and price control, and Kaiser, a shipbuilding company, had to abide by these wage controls. In order to attract better workers, Kaiser offered employer-paid health insurance. After the war, this morphed into employer-paid insurance, which was not taxed to the employee and deducted as a business expense for the employer. Too bad for employees that did not work for employers with health insurance; they paid for health insurance with their after-tax dollars. Lesson One: In reality, health insurance was mostly prepaid healthcare with large and diverse risk populations – a big business and their employees. Health insurance had less to do with the risk of illness or injury. America’s government-distorted health insurance was very different from Lloyds of London, which originally was risk insurance on oceangoing ships of trade. Take a typical 30-year-old and 64-year-old, earning identical amounts of money, living in the same place, and choosing the same health plan. Who will pay more for that health care plan under Obamacare? The 30-year-old pays $2,800 a year for a bronze plan. The 64-year-old pays $7,400 for the same plan. Wait. The 64 gets generous subsidies and thus pays nothing. That’s a $0. Meanwhile, the 30-year-old receives a smaller subsidy, which pays $400, and pays about $2,400 out-of-pocket. Lesson Three: Political favoritism always distorts government-controlled programs, i.e. ObamaCare. Lesson Four: Most people under fifty would be much better served to have health-saving accounts where pre-tax dollars buy catastrophic medical insurance and pay for ordinary health care with their pre-tax dollars. The excess pre-tax savings builds within the account and will eventually be used for Medicare. Lesson Six: Everyone should be demanding that politicians expand health savings accounts. Call your senator, member of congress, governor and state legislators and demand health savings accounts...today. 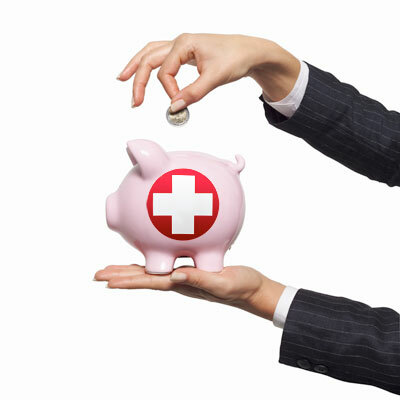 Make health savings accounts an issue in the 2016 campaigns. Only then will the opportunity exist in 2017 for good legislation. This is how geo-politics works. Remember! Make expand health savings accounts an issue in the 2016 elections. It’s very important. You've got. It Would resolve the healthcare problem at an affordable cost while giving us freedom of choice. The health savings account (HSA) you suggest, would permit residual savings to carry over to subsequent years. In the current HSA created by politicians, however, the account drops to zero at the end of the year! Instead of promoting savings, employees limit contributions to current-year expected expenses and have a year-end frenzy to empty the account by Dec 31! Your suggestion would actually work.